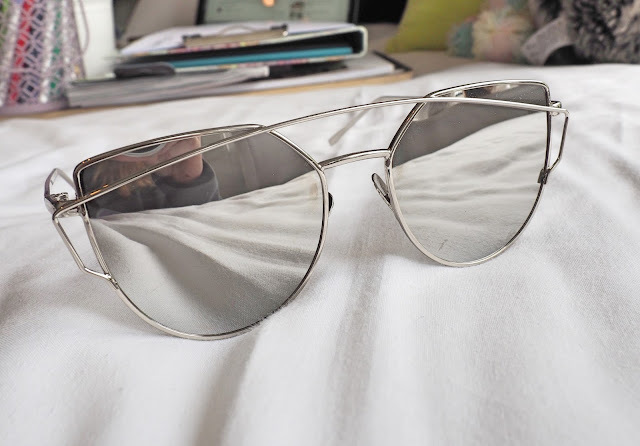 Ok so I'm not great at taking photos of mirrored lenses but lets ignore me in the reflection shall we! It seems like every post I write lately can begin 'in case you didn't know, I'm obsessed with x' but honestly, with sunglasses, I just keep buying and buying them and it's like a running joke with everyone in my house now. I don't think I have that many, like 15 pairs maybe? (I had a clear out only a couple of weeks back!) But apparently that's excessive? I just like to have a choice and different styles/shapes/colours go with different outfits! I picked up 3 new pairs this month and they're easily my three favourite pairs. I've seen so many bloggers talking about Coconut Lane recently so I thought I'd check it out, and honestly, I could've bought so much! But amongst all the jewellery/phone cases/prints I, of course, found the sunglasses. With my recent love for everything copper and rose gold these seemed like the most perfect choice! They're such a pretty colour and I love the shape to the frame and the delicateness of the arms. So I didn't stop at one pair from Coconut Lane did I, I had to make it two and this pair are so different to the first! 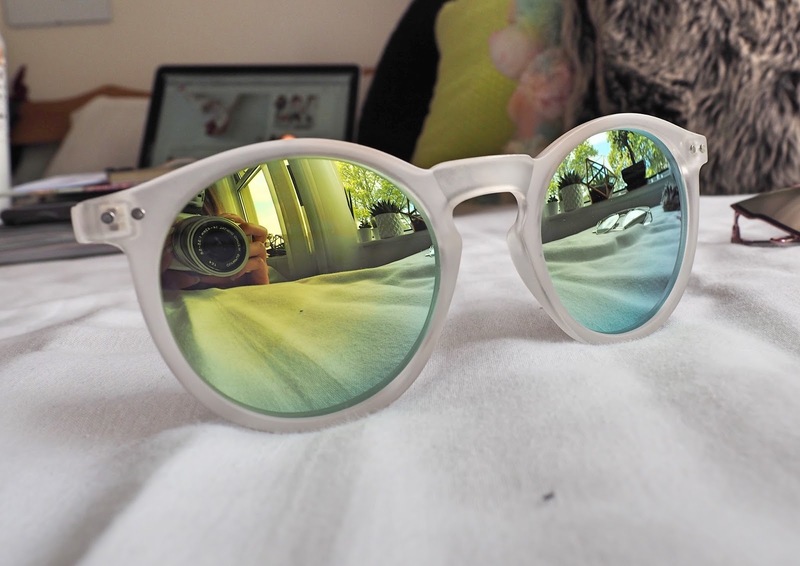 They're a much more 'relaxed' kind of style, perfect for summer. They're ideal to go with anything denim which is a trend I'm fully immersed in at the moment, and the frosted frame is so unique. 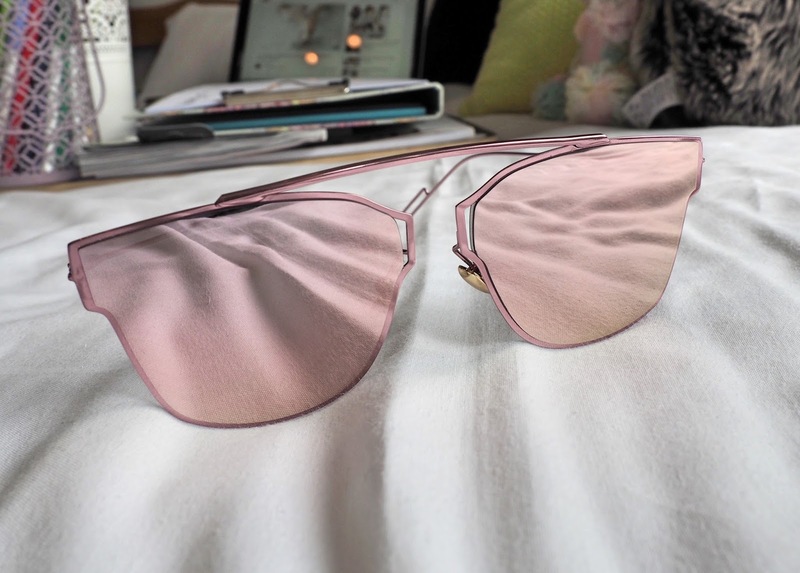 So I love the style of the Dior shades that every blogger has at the moment, you know the ones! But I ain't got the dollar for those, so I was searching eBay and found these for £3. Like, how could I not for that price?! And free shipping! They're a little bit big, constantly sliding down my nose, but for the price and the aesthetics I will cope. 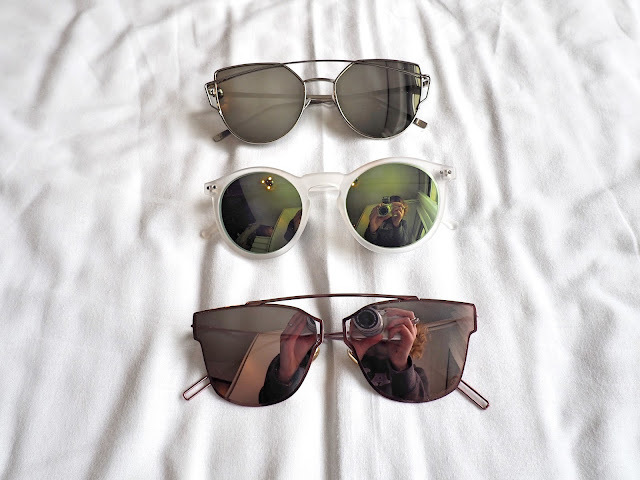 It seems I certainly have a thing for mirrored lenses right now!